Iceland waterfalls are legendary. 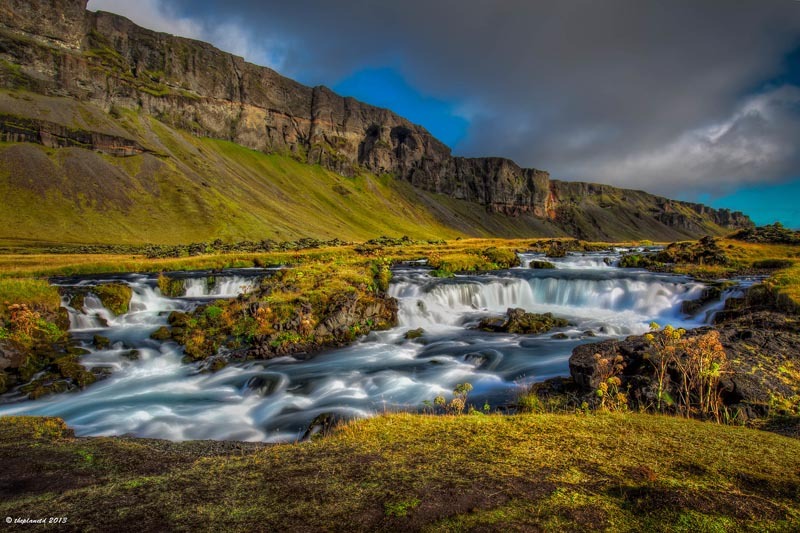 They’re literally everywhere and come in all shapes and sizes – I usually refer to Iceland as the land of waterfalls. With all of them in mind, I took on the task of selecting 12 Iceland waterfalls you can’t miss in Iceland. Take note, this will be helpful for your road trip in Iceland. Iceland Waterfalls can be experienced from a close distance. Sometimes a bit too much and with a lot of water sprays on clothes and lenses. My recommendation is to keep safety in mind and to pack some waterproof clothes. This will improve your experience when visiting the waterfalls. 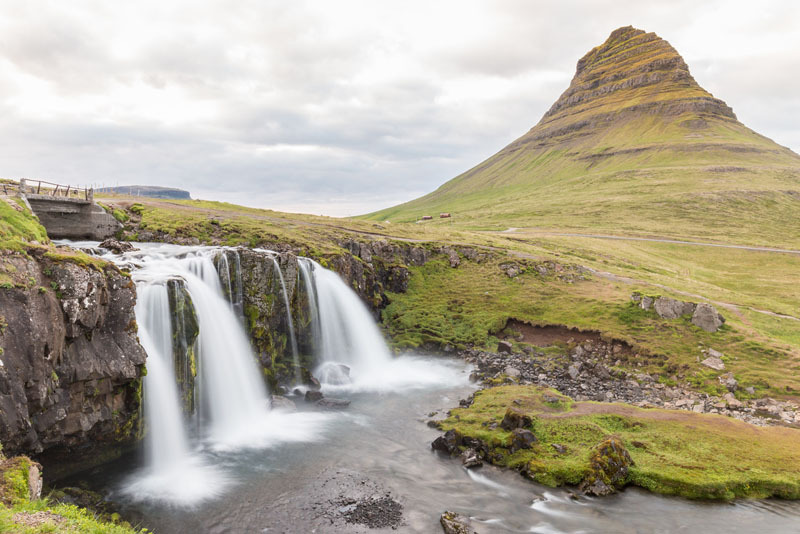 Selecting the waterfalls you can’t miss in Iceland is not easy and I could certainly grow this list in a blink of an eye. This list is a mix of the most famous and well-known ones, plus some gems not a lot of people get to see. It also includes photos taken both during the Summer and Winter months so you can see how gorgeous they look throughout the year. All very much worth visiting. Seljalandsfoss is one of the crown jewels of Iceland waterfalls and tourists flock to this waterfall located in the south of the country. What makes this waterfall unique is that you can walk behind it. Yes, you can get an incredible view of Seljalandsfoss and also get a lot of water spray in your face. It’s a remarkable experience. 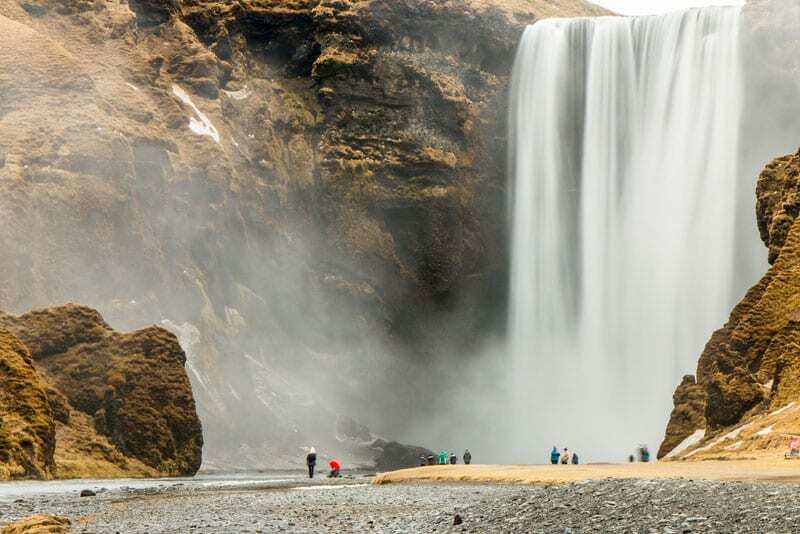 Skógafoss is another of the main Iceland waterfalls and it’s located very close to Seljalandsfoss. It’s a big waterfall with a drop of 60 meters and a very large base. The stairs to its right lead to a viewing platform above it. Amazing bird’s-eye view of the waterfall and also towards the coast of Iceland. Svartifoss is located in the heart of Vatnajökull National Park and one of the most beautiful places to visit. The black basalt columns that surround the waterfall are the reason why. A hike of around one hour is necessary to reach Svartifoss. It starts at the National Park information center at Skaftafell and passes by a couple of other waterfalls along the way. Hraunfossar is a special one and a personal favorite. It’s not big nor powerful but the effect of a group of mini waterfalls coming straight out of a lava field creates something unique. For the best colors, it’s recommended to visit at the beginning of Autumn. Dettifoss is Europe’s most powerful waterfall. One can hear its power from the distance when approaching it, even before getting a glimpse of how the waterfall looks like. Dettifoss can be accessed from two different viewpoints and it’s well worth the trip to northeast Iceland. Gullfoss has to be one of the most popular Icelandic waterfalls. Virtually everyone gets to see it since it’s part of the famous golden circle route, and within easy reach from the capital, Reykjavík. From the top, it seems like the water drops into a chasm, disappearing forever. 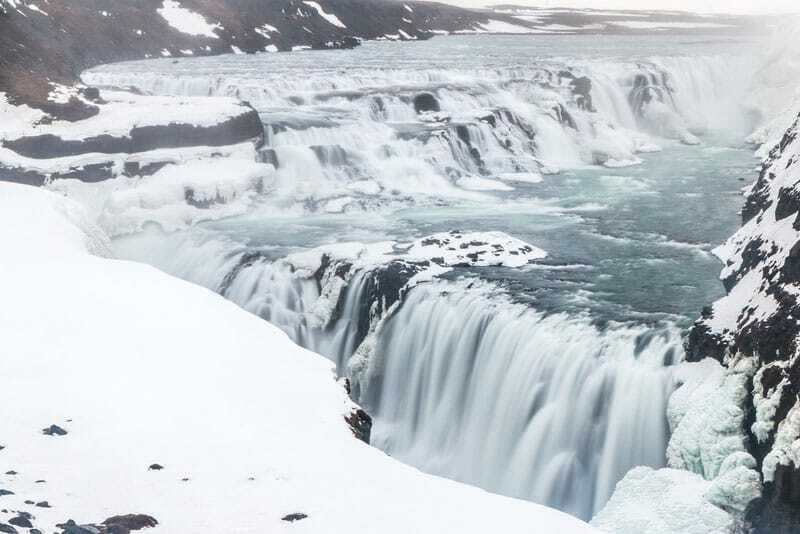 It’s a good idea to visit throughout the year but during the winter, Gullfoss is partially frozen and looks totally different. 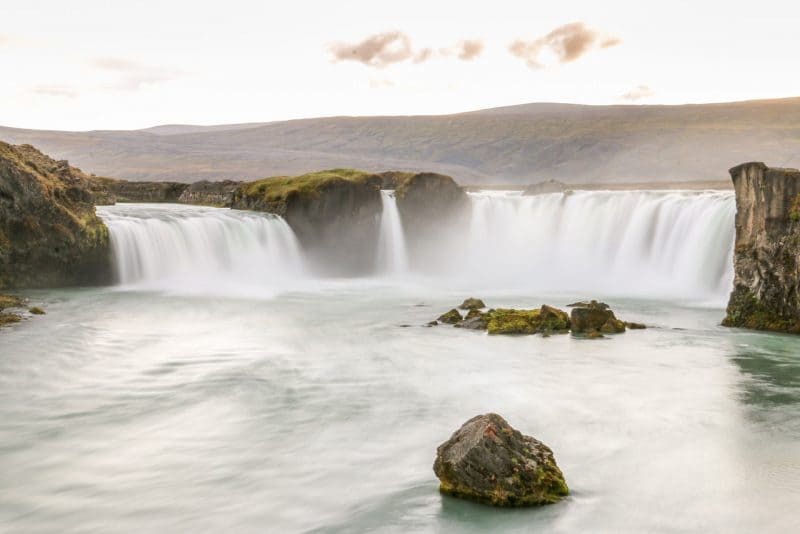 Goðafoss is known as the waterfall of the gods and certainly one of the most impressive in Iceland and a must-visit location in North Iceland. Can’t be missed just off the ring road between Myvatn and Akureyri. 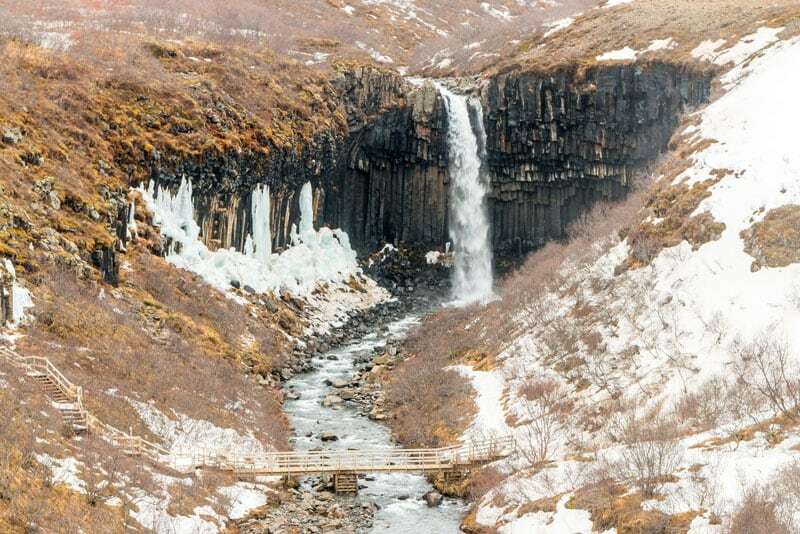 Dynjandi is not just one waterfall but a series of waterfalls located in the Westfjords, one of the most remote areas in Iceland and a place not many travelers get to see. The total height of all seven waterfalls is 100m and this, together with its fjord location, is what makes Dynjandi one of my top picks. 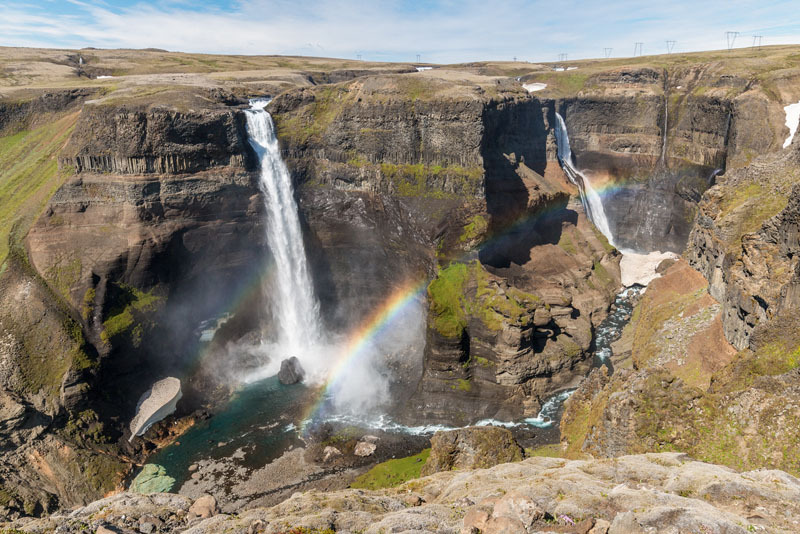 Haifoss is the 2nd highest waterfall in Iceland and has a total height of 122 m. Impressive, right? This was one of the most recent waterfalls that I had the chance to visit and proof that Iceland can still surprise me with new and incredible locations. The neighbor and almost identical waterfall is called Granni and both are usually blessed with one or more rainbows. Located not far from road 32, a 4×4 is recommended to access the waterfall since the gravel track to get there is pretty rough. Due to this, only a few people visit this waterfall, usually on super jeep tours. Kirkjufellsfoss is nowadays one of the most recognized and photographed waterfalls in Iceland due to the iconic cone-shaped mountain close to it. Travelers make the trip all the way to the beautiful Snæfellsnes peninsula, in part, just to see it. 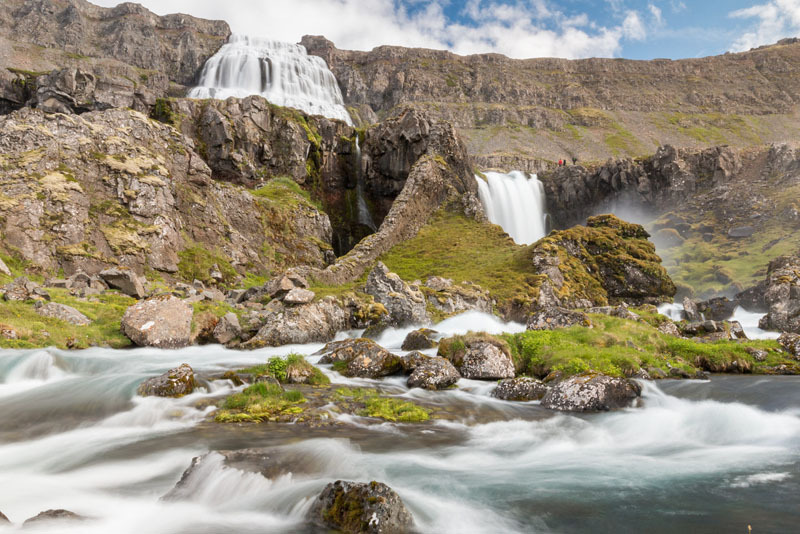 And, as an added bonus, it’s super easy to find this waterfall, located just by the small fishing village of Grundarfjörður, on the northern part of the peninsula. If you visit during the Summer, Kirkjufellsfoss is a great location to witness the midnight sun. 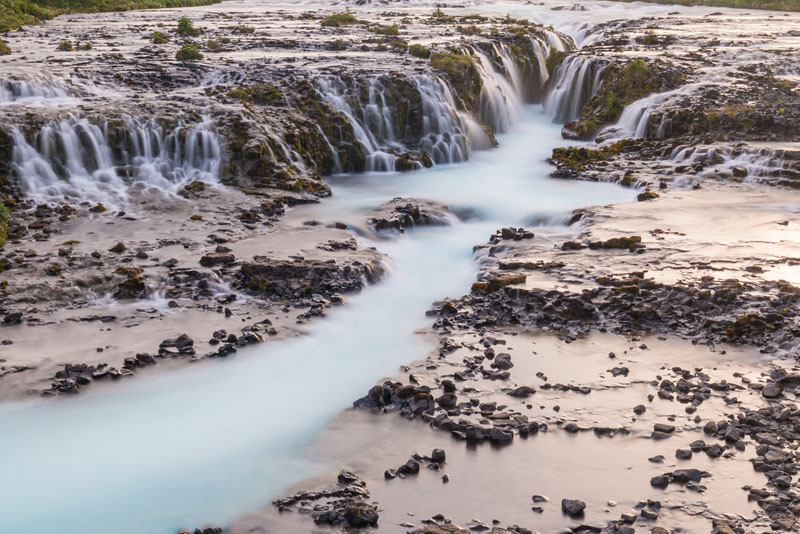 Bruarfoss is the definition of a hidden gem. Definitely not easy to find, this waterfall is actually on a very popular and touristy area – the famous golden circle, between Thingvellir and Geysir, despite its almost secret location. It’s also very different from other waterfalls in Iceland, with a very interesting and unique shape which allows for interesting perspectives from many angles. 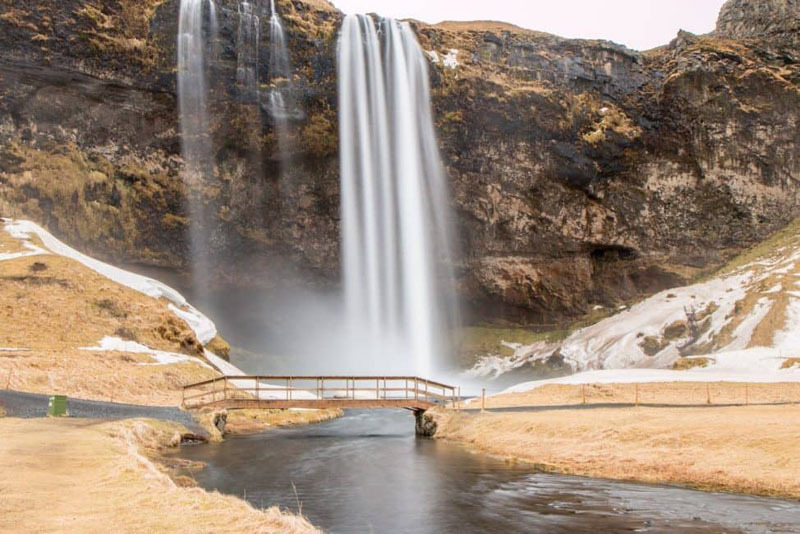 Þjófafoss is a great waterfall to visit due to its picture-perfect setting. 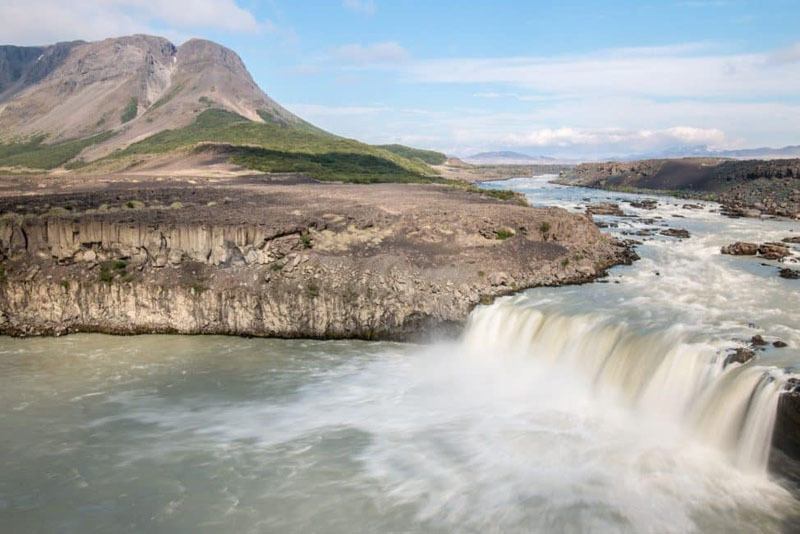 Located on the Þjórsá river, it runs through a lava field and has a beautifully shaped mountain behind it – Búrfell. 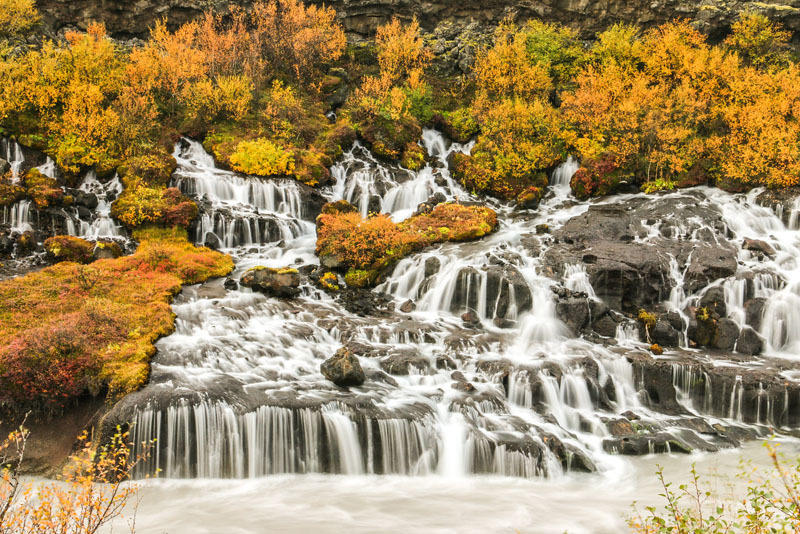 This waterfall is a short detour away from road 26 on an easy gravel road on the way to the Icelandic highlands. Not a lot of people get to visit it and it’s normal to be there with no one around! Waterfalls are one of the reasons I got hooked to this country and why I travel there so frequently. For my next trip, I’m sure I’ll find a few more worth adding to the list of waterfalls you can’t miss in Iceland. Their water is so clean that you can drink it right out of the rivers. Glacier melt occurs constantly and water is forever flowing from the mountains. Barnafoss is located on the North West of Iceland. We drove counterclockwise along the Ring Road and this was the last waterfall that we came upon during our 11 days in the country. It is here that there is a legend of two boys drowning as they crossed a rock bridge. Legend has it that their mother had the bridge destroyed after they disappeared. 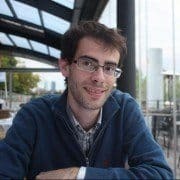 Hugo is a Portuguese Software Engineer based in London on a quest to travel and explore the world's best cultural and nature destinations. Together with his wife he has been to 30+ countries and keeps thinking about where to go next. You can follow their latest adventures at Breathe With Us. You can follow them on Facebook, Twitter, Instagram, and YouTube. 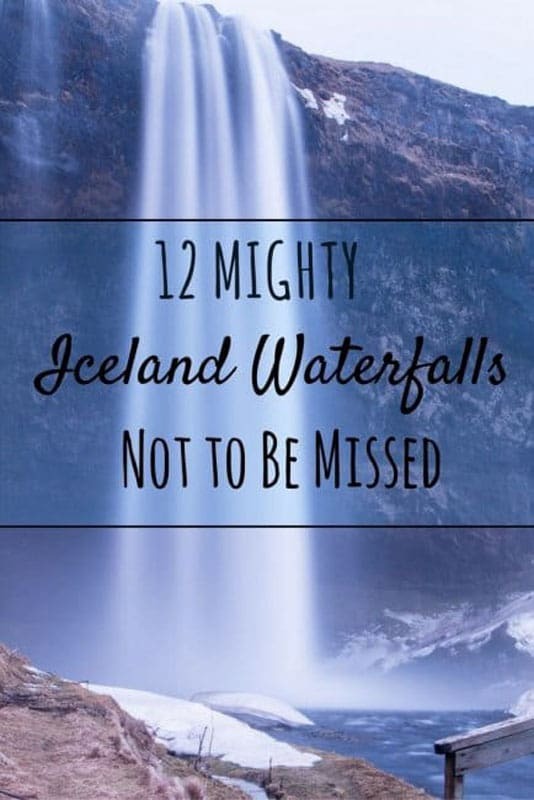 10 Responses to "Mighty Not to Miss Iceland Waterfalls"
Spectacular! I mean the falls but, as well, the photography. Ansel Adams comes to mind. Thank you very much for sharing. These beautiful photos must represent a lot of work and time expended. A trip to Iceland has always been a dream of mine. I love everything about the rocky scenery I’ve seen in photos. Niw I have to add waterfalls to my list of reasons to go. Just an incredible photography! I truly enjoyed the post, specially I loved Hraunfossar. I had never been thought of these places. But now its in my bucket list. Thanks guys for sharing. Nice..the Gullfoss…nothing to say about it..very informative. Fantastic photos, Hugo! I’m headed to Iceland myself next week. 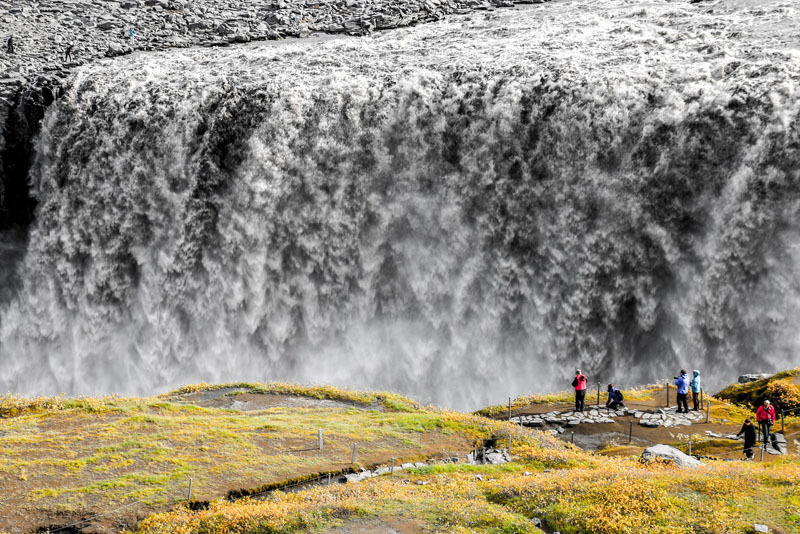 Did you try the lamp soup at the Gullfoss visitors center? I’ve heard it is one of Iceland’s culinary delights! Great work and thank you. Very interesting! fantastic trip! What struck me most was identified Kirkjufellsfoss this place is a dream !! Thank you! It’s hard to pick a favorite, but from the photos above, I think Gullfoss would be my top must-see waterfall because of the surrounding snow. It looks so peaceful and beautiful! Thank you for sharing!